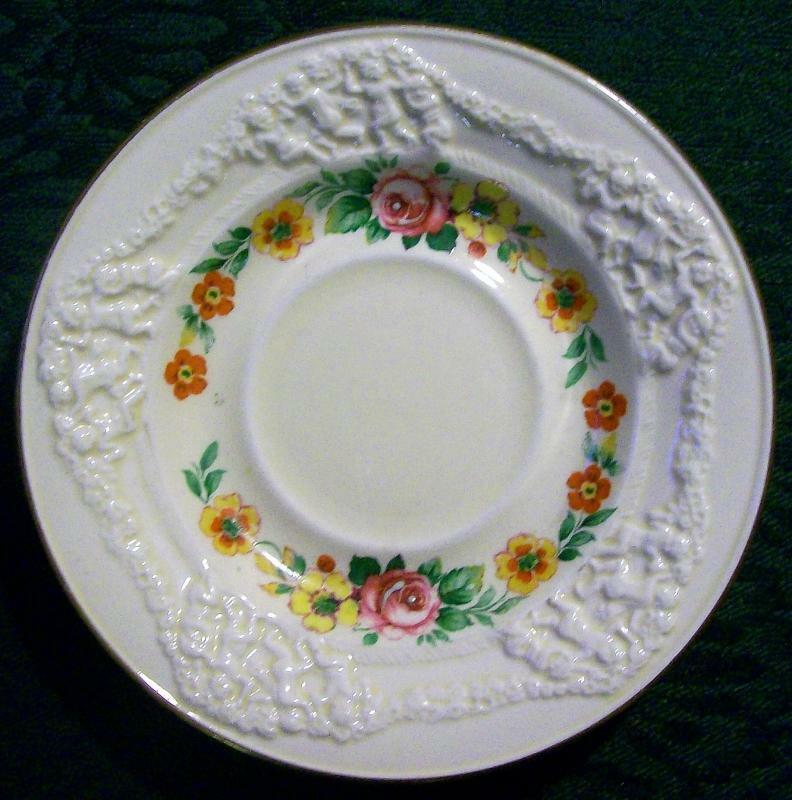 Adams Titian Ware Saucer "Rose of Italy"
Titian Ware saucer in the "Rose of Italy" pattern, made by Adams. 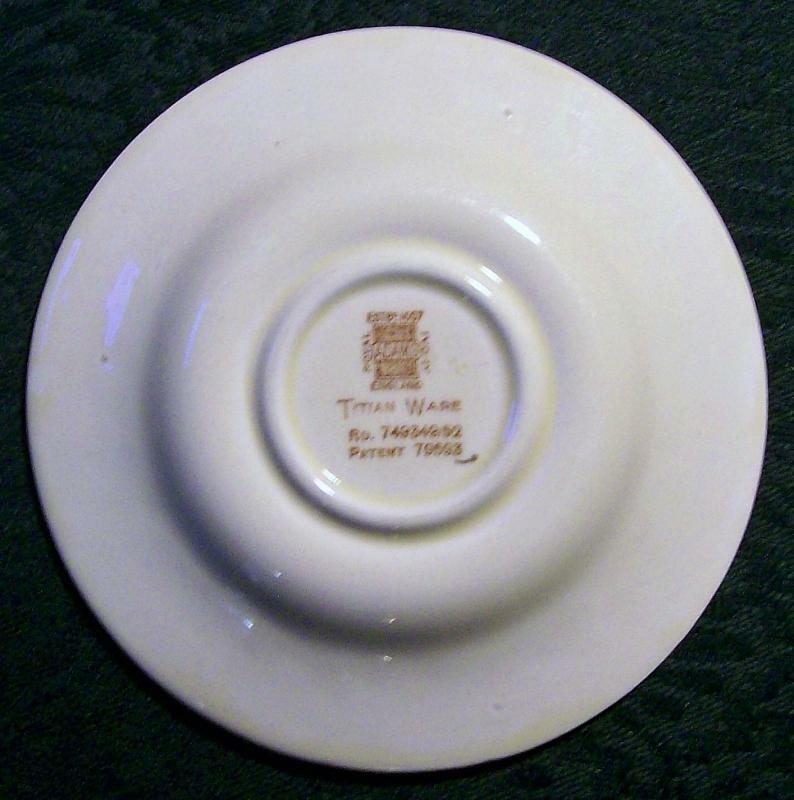 Registered in 1929, made circa 1935. 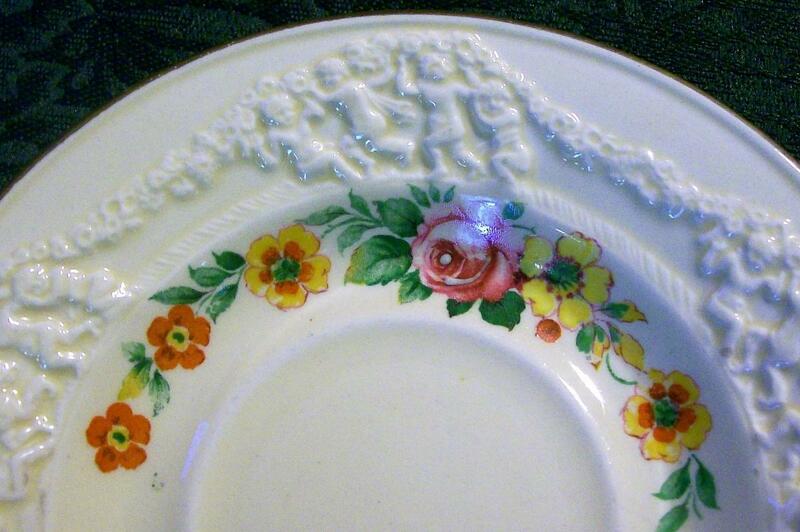 Royal Ivory rim embossed with cherubs, rose and mixed floral decals inside verge area. Gold metallic trim. Measures 5 5/8"d. No chips or cracks. Saucer only. Inglenook Antiques...Established 1989. 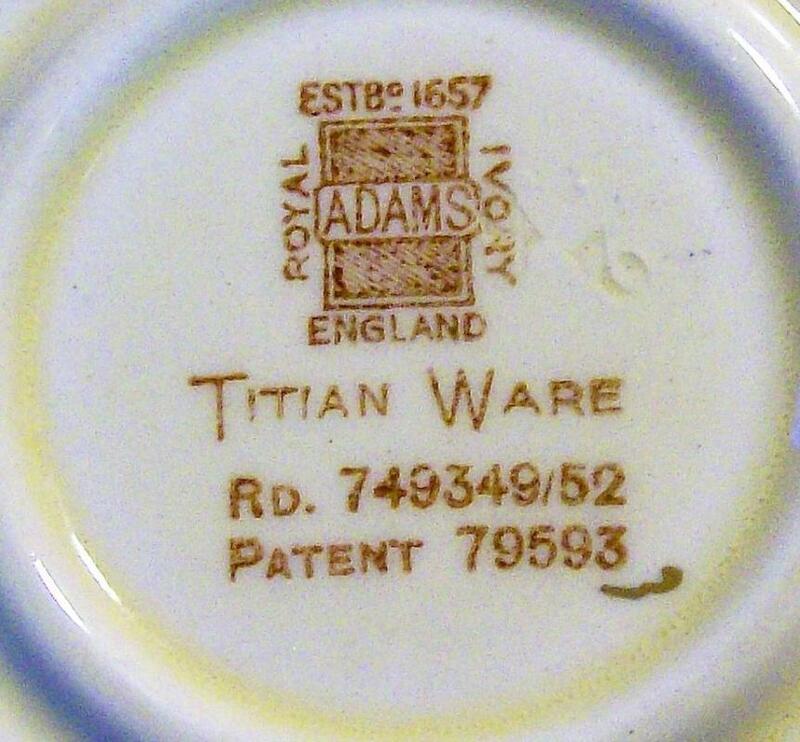 Items Similar To "Adams Titian Ware Saucer "Rose of Italy""